The man, who suffered serious injuries to his legs and upper body, was part of the crew working on the Scottish Government’s £3 billion A9 dualling project. Authorities have mounted an investigation into the incident at contractor Balfour Beatty’s compound off the A9, north of Perth. A source with knowledge of the accident said the 45-year-old employee was working with others to set up cabins at the temporary construction village near Bankfoot. The cabin was being moved into position by a crane when the machinery malfunctioned and dropped the unit on to the worker. Emergency services were scrambled to the scene and the man was rushed to hospital. It is understood he is expected to make a good recovery, after receiving specialist treatment at a private hospital in Manchester. The accident happened last month as Balfour Beatty was setting up its base before work on the Luncarty to Pass of Birnam section. Details emerged as the next stage of work – involving a series of overnight closures – got under way on the 9.5km stretch. 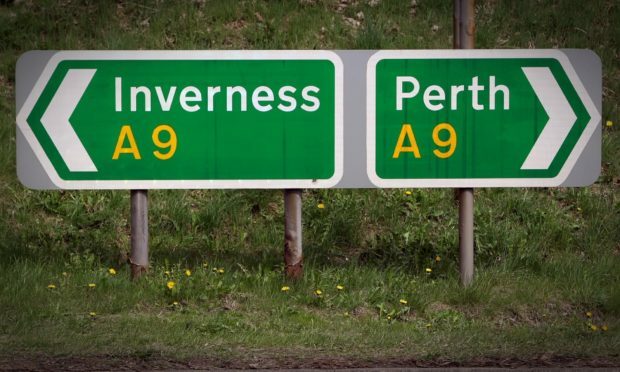 Transport Scotland, which oversees the A9 project, confirmed an investigation into the accident had been launched. A spokesman said: “Regrettably, our contractor has confirmed that an operative was injured following an incident within the construction site compound for the A9 Dualling Luncarty to Pass of Birnam project. “Transport Scotland places the utmost importance on protecting the safety of the workforce, road users and the local community and expects a high-quality approach to safety from our contractors and suppliers. A Balfour Beatty spokeswoman said: “Safety is always our primary concern and our thoughts are with the operative involved. The UK Government’s Health and Safety Executive confirmed it was also investigating the circumstances of the accident but declined to comment.